Our team traveled to South Sudan to spend a day in the life of a remarkable twelve year old girl, Jina Teji. Her world revolves around walking a mile there and back to fill a jerry can of water three times a day, to sustain her family, for whom she is the primary caretaker. Brilliant, beautiful and gushing with a joy, Jina grabs our hearts while illustrating the tremendous need for clean water sources in countless villages around the world. 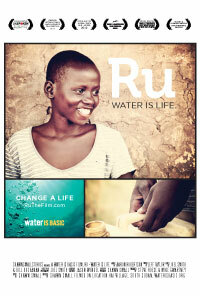 We ask the question: How can one little girl’s life be changed if she is given easy access to clean water? For most of us, fresh water is a tap away. For others, it’s an arduous daily journey. For every human, water is life.